She’s really not the glitter Grinch – but those trillions of tiny, shiny flecks are a threat to marine life and human health, so it’s time to ban the plastic-based kind and use biodegradable versions made of materials such as mica, says a Massey University social scientist. Dr Trisia Farrelly, an environmental anthropologist, has been researching and campaigning here for an end to single-use plastic supermarket bags, as well as microbeads in cosmetics and cleaning products, because they do not break down in the environment. Plastic-based glitter is a form of micro-plastic. Microbeads were banned in the United States in 2015, and are due to be banned in the United Kingdom and New Zealand next year. Since November when a UK nursery announced they were going to ban glitter, Dr Farrelly has been “overwhelmed” with requests by dozens of international news sites, following comments she made in a Stuff/Fairfax article in June on harm caused by plastic glitter to marine life. In the past week she has been interviewed by or quoted in the BBC, Daily Mail, The Independent as well as the New York Times, CNN and National Geographic, making headlines as far away as France, Asia and Turkey. She was surprised by the global interest in glitter as the plastic-based kind represents a relatively tiny part of the broader problem of global microplastics. “But Christmas is an ideal time to raise awareness about environmentally responsible production and consumption and the problems associated with microplastics, and if plastic-based glitter is the vehicle for opening more conversations, then I welcome that.” she says. Dr Farrelly points out that it is vital that conversations around plastic-based glitter connect to the broader issues. Many of the media in which Dr Farrelly has been quoted has also referenced a study led by Professor Richard Thompson – one of the world’s top marine scientists – reporting that plastic was found in a third of UK-caught fish. In some parts of the world’s oceans microplastics outnumber plankton by 6:1, she says. “Plastic marine litter and the microplastics they break down into have been found to transport invasive species and more recently some marine scientists have reported that they also carry pathogens. 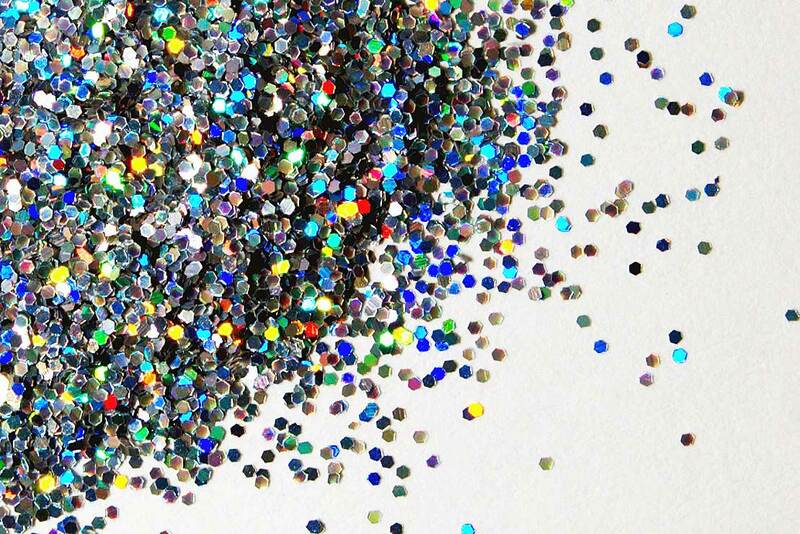 Dr Farrelly, from the School of People, Environment and Planning at Massey’s Manawatū campus, says plastic-based glitter is made of etched aluminium bonded to a plastic called PET (polyethylene terephthalate). Her research is based on the findings of toxicologists and endocrinologists who study the effects of endocrine disrupting chemicals (EDCs) found in many plastics, including PET. “There is a growing body of evidence to suggest that the toxins released by micro-plastics and the additional pollutants absorbed by plastics in aquatic environments – what some marine scientists are now referring to as ‘poison pills’ – can bio-accumulate up the food chain with the potential to disrupt the endocrine systems of sea life, and us when we consume sea food,” she explains. While she takes no credit for the primary data underpinning this call for more responsible glitter manufacture, she spends much of her time working across the social and natural sciences to develop a broad overview of the politics of the single-use plastic story, from production to consumption and disposal. She feels strongly about the role of social scientists in communicating and contextualising science for the wider community. She says the damage from microplastics is a serious and extremely complex global issue requiring a radical inter-disciplinary approach with natural and social scientists working together to raise awareness with policy makers, health professionals and the general public. “We can’t automatically expect marine scientists to fully understand the toxicology or the socio-political part of the story, and toxicologists are unlikely to fully grasp the marine science and ‘social science-y’ part of the story. Nor can I, as a social scientist, fully understand how marine scientists and toxicologists came to their conclusions. This is not surprising but it is a difficult bridge that needs to be crossed in research teams for timely and meaningful outcomes,” Dr Farrelly says. Not wanting to take the sparkle out of festivities and celebrations, she says there are plenty of non-plastic, environmentally-friendly glitter alternatives that are available to make or buy. But the onus must be on producer responsibility. “Asking consumers to be better recyclers is really a bottom-of-the-cliff solution. One report this year estimated that 91 per cent of the globe’s plastic waste isn’t recycled. You can’t recycle plastic glitter. Dr Farrelly is co-director of Massey’s Political Ecology Research Centre (PERC) which hosted the Lives and Afterlives of Plastic conference in June, a 99 per cent carbon neutral event by being run fully online. 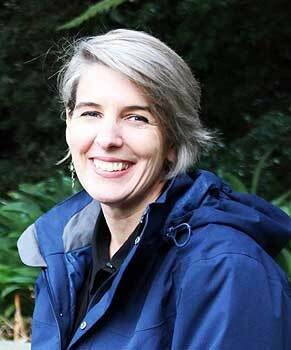 She also spearheaded the Carrying Our Future campaign in Palmerston North to reduce plastic bag use, and is on the steering committee of the New Zealand Product Stewardship Council.